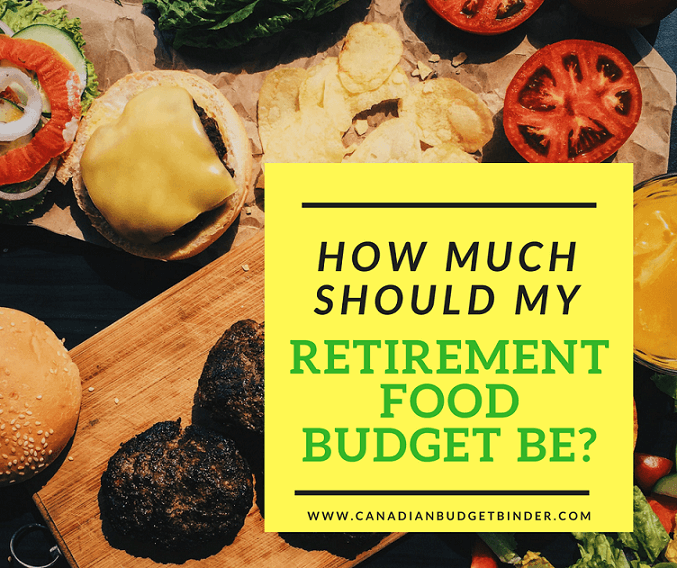 How Much Should My Retirement Food Budget Be? The cost of retirement does not come with a free meal pass and for that reason many seniors continue to budget as long as they can. One popular question I get asked on the blog is-How much money is needed for a retirement food budget? Retirement goals+Retirement Health are important financial considerations for the future especially when estimating financial needs. If you are close to retirement I’d say with-in 5-7 years it would be smart to estimate your future costs and whether you will be ready for them financially. Once you have that magic estimated number that you can work with then you will at least have a clearer picture. This will also ease any retirement stress you may be feeling when the time comes to say good-bye to your career and hello to retired life. Obviously monthly net income is factored into the equation as well how much money is left after all the fixed expenses are paid. Your income needs during retirement may decrease however an increase in eating out and travelling may see an increase in your dollar needs. You might find that you won’t need as much money as your pre-retirement income to continue what you did before retiring. Although, retirees-to-be may want to do what they weren’t able to do during their working years. The problem is, we don’t really know what will happen but having an idea of what you would like helps sets the pace. Related: What should my retirement savings plan look like? Your financial advisor might encourage your Income Replacement Ratio (IRR) to lean towards 80% of your pre-retirement income. This means you need to save money to supplement government pensions unless you plan to live on less. Something else to chew on is whether you’ve factored longevity into your long-term retirement outlook. You might live longer than you expect. For this reason you may want to mull over future expenses to see how long of a stretch your money will make. Will retirement change the way you eat and shop? Quite possibly and for those who don’t have a pension, retirement savings or other income sources to rely on the food budget can become a juggling act. Relying on government Old-Age Security and the Canadian Pension Plan may be tight to get by on but this is all some retirees have to work with. Ideally, you will want to know about what to expect during your retirement years before-hand. I don’t mean hiring a psychic rather understanding the process of retirement and what you might be facing when you get there. One of your best resources might be talking to those who are already retired or recently retired. You don’t have to wait until you are a senior to do the research either especially when it comes to investing in an Registered Retirement Savings Plan or Tax Free Savings Account. The earlier you start investing the more time your money has to work for you. It’s important to plan today for tomorrow and without learning about what retirement entails there’s no way you can plan ahead. What is the Old-Age Security? The Old Age Security program is the Government of Canada’s largest pension program. It is funded out of the general revenues of the Government of Canada, which means that you do not pay into it directly. The Old Age Security (OAS) pension is a monthly payment available to seniors aged 65 and older who meet the Canadian legal status and residence requirements. You may need to apply to receive it. If you live in Canada and you have a low income, this monthly non-taxable benefit can be added to your OAS pension. If you are 60 to 64 years of age and your spouse or common-law partner is receiving the OAS pension and is eligible for the Guaranteed Income Supplement (GIS), you might be eligible to receive this benefit. If you are 60 to 64 years of age and you are widowed, you might be eligible to receive this benefit. It’s not easy, it never is unless financial awareness is taken into consideration early on but there are ways to at least make your retirement food budget work for you. Once you arrive at the age of 55 the seniors perks tend to kick in (some even at 50) even at the grocery store. A 20% discount which many shops offer once a month goes a long way when you are retired especially when living on a fixed income. Even those that have a frosted retirement bank account are still encouraged to manage their money wisely. 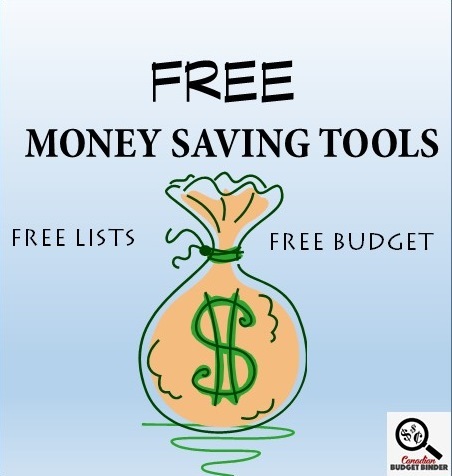 Once it’s gone, it’s gone unless there is a steady stream of extra or passive income. Some people choose to work part-time to supplement their retirement income like both my parents do house-sitting across the UK. I’m sure they do it more for the luxury then anything since they don’t really need the money. This might not last forever though. Living richly during the golden years sounds like the greatest retirement plan of all but as the years go on expenses go up and obstacles may find their way into the mix. Whether retirement is years away or around the corner for you it’s important to consider the costs involved when you’re no longer working. Retirement costs will vary depending on where you live, needs and extended life-span. Retirement housing for example can be extremely costly especially if you move to a gated retirement community or retirement home. Although, if you consider the costs of running a house you might find that it’s worth it for you. Mrs. CBB’s grandmother is in a retirement home for seniors paying thousands every month for housing and care. Related: What should your retirement savings plan look like? No matter where you go unless it’s to a retirement home you will have to cook meals or at least take care of your food shopping and meal prep. If you are unable to you may have to rely on others for help or pay for services. There may be seniors services that are government supplemented for low-income retirees too so find out ahead of time. You can’t predict this stuff BUT you can consider the possibilities. Related: Would you pay for a personal grocery shopping service? When creating your retirement budget ideally it’s based on your current needs situation and how much of that you will want in retirement. What would drastically change the way your expenses are earned, saved or spent when you retire? Related: What to expect with little to no retirement savings. For example any or all the below can and will affect your retirement food budget especially if you are in a fixed-income. When fixed expenses go up holding up the variables can be a struggle. Ask yourself- “Do I really need internet?” Saving money wherever you can will then be a bigger priority. Divorce- Do I have to share my RRSP’s with my spouse when I divorce? I’m sure there are many other things to consider but you get the idea. No one knows but considering a minimum 2% rate of inflation each year and how much you would like to net depends upon many of the above variables. That means if you want to travel during your retiring years your expenses may increase in one budget category but lower in another. If you’re away for 2 months of the year at an all-inclusive destination with no need to spend money on groceries you should lower your monthly food allowance. Your grocery budget will be less but you will have other expenses to consider while vacationing. What’s that saying, “Take from one pot and put it in the other.” <<< Maybe I just made that up. Quote me! The time-frame when you plan to retire also dictates how much money you will need to get you through the years. If you retire early you’ll need more money than if you retired later but again, no one really knows what your particular situation will be. Personally I believe a huge part of retirement expenses depends on the person(s) involved and how they choose to live their golden years. My parents have retirement savings and passive income but they are still very frugal yet travel each year for a month or two at a time. There’s no reason to stop trying to save money when you retire by using coupons, finding hot deals and continuing to budget. Retirement does not equal free rein on the bank account. Managing your money is just as important when you retire as it is during your working years. As we age our health may change which means our diets potentially could change as could medical costs both impacting the budget. Depending on what your health status is your grocery budget may go up or go down as dietary needs are incorporated into meals. Exclusively buying organic, gluten-free or other health products will increase the food budget unless you are vigilant about grocery store savings. If you are unable to cook and must pay someone to bring you prepared food on a weekly or monthly basis this will increase food costs as well. There are professional grocery shoppers for hire who grocery shop for those who are unable to get out of the house or are too busy to shop. It may be worth paying someone to shop for you but considering many stores will deliver right to your front door for a fee it may be cheaper going that route. I’m sure in the future grocery shopping will be far different from what it is today. Maybe I’ll be able to come back and edit this blog post with an update when I’m 7o years old. That’s another 30 years for all of you who are wondering. Alternatively some Ontario grocery stores such as Walmart and Zehrs offer grocery pick-up by placing your order online and picking it up at a specified time. No effort required especially if you don’t have a clue how to grocery shop. You will pay for this service but it may be worth it to you. If you are living alone during retirement costs could go either way especially if you aren’t able to cook for yourself. A number of retirees who lose their partner are unable to cook because they don’t know how to. For those that don’t marry or live alone for whatever reason must consider their future or current needs with or without help. My father does not know how to cook and has relies on my mother for meals. If my mom was to leave for whatever reason my dad would be lost in the kitchen.This makes food delivery service apps, pre-made meals and eating out appealing all of which will cost more money because convenience costs. Joining local cooking courses may help lower your food budget for the long-term only if you find it a valuable tool. Learn how to cook some of your favourite simple meals that you can make at home. These basic kitchen skills help decrease the need to eat out or hire help in the food department. Once Mrs. CBB’s grandfather passed away her grandmother was alone in a big house. She was fortunate to have two of her children still living in the city along with many grandchildren. They made grandma a priority and brought her meals, took her out for breakfast, lunch and dinners as well helped with grocery shopping. She was a fantastic cook and baker before she went into the retirement home. Eating well- How important is it to you? You might not eat out much now but you might when you retire. Should you budget for it? That’s only a question YOU can answer. If eating out is on your retirement bucket-list then yes budget for it. What will your retirement food budget include? Here’s the thing. You like what you like and I like what I like. Your food budget is custom to whatever you fancy to pay for. When creating a retirement food budget recognize what you plan to include in your budget categories. I base plenty of my ideals about retirement from what my parents have done in the past compared to how they are living today. One huge change is that they eat less food but they enjoy eating out more which is part of their food expenses. Eating out means they will spend less on groceries but more on entertainment. My mom used to cook proper full meals 2-3 times a day when I was growing up but now that they moderate their food intake she no longer does this. They just aren’t as hungry as they used to be as their lives are sedentary compared to before. Their health has also changed. Keep in mind any of these could change over the years. There may also be new ways to save but never stop saving or finding out the new trends in food savings. If you plan to bulk buy during your retirement years you can save some money by splitting the costs of store memberships and shopping together. 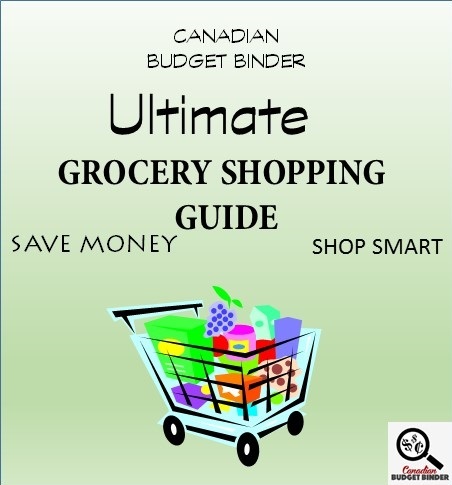 Although bulk shopping during retirement seems silly there are many items that you can stock up on to save money depending on what you include in your food budget. Related: Is Costco worth the membership fee? Using an organic produce delivery service also offers you the option to buy produce that fits your household needs and budget. The great part about this service is that it’s delivered, weekly fresh produce to your door and with potential for less waste. Flirt with the idea that you may not eat as much food throughout your retirement years. This means you won’t need to spend as much money at the grocery store. Mrs. CBB’s grandparents went from eating full roast dinners in their 50’s and 60’s to soup and a sandwich in their 60’s, 70’s and 80’s. Not only that but they went to social events and church functions more often which included eating out with their senior friends. If you have a green thumb and are looking for simple retirement hobbies consider growing a vegetable garden which will keep produce costs down. If your property allows for fruit trees this will also encourage a lowered food budget. Our 9o year-old neighbour has a lovely crop of red tomatoes every year and is so proud of it. Did I mention he’s 90? I know, right. If you live in an apartment or a place without any yard space you can still grow vegetables and herbs on your balcony in pots. Herbs such as basil are great to grow indoors and thrive outdoors during the summer and fall months. Foraging is also a fabulous way to get exercise and free food at the same time to help offset your retirement food budget. Joining a foraging club is a great way to meet people and learn about how to forage food as some of nature’s bounty can be deadly if eaten without knowledge. One of my favourite foragers is Beth who blogs at Aunt B on a Budget and inspires me with her cooking, foraging and food prep methods. She can turn anything into something beautiful and delicious. I suspect as the years ease forward that the savings we find at the grocery store will follow suit. There will always be a need to eat which means competition among grocery chains followed by traditional consumer savings. During your retirement years make sure to take advantage of any senior discounts and continue to evolve with savings tactics to lower your retirement food budget. Just because you’ve retired doesn’t mean you leave frugality behind unless that is the route you choose to take. In that case you likely wouldn’t be reading this blog post right now. Discussion Question: Are you planning to splurge at the grocery store and specialty stores when you retire? More…hubby is 10 years from retirement and at an inflation rate of 2% per annum, we’ll be paying 20% more for the food that we currently buy.- Mary C.
Our food budget def did not drop when he retired (at 53). He traveled for years and years and years, then suddenly he was home 24/7! Luckily, before I had to consider drastic measures, he went back to work as a contractor two weeks later, but was home nights. Then I retired a few years later, at 56. I also went back to work. We are both permanently retired now but babysit the great grand-kids so our grocery bill has really climbed because they love fruit and I love chocolate, lol. Of course, after his second surgery, we had no grocery bill for awhile, except stuff for the kids, I lived on candy and my homemade bread. Now that he is eating real food again, we are back to buying real groceries again but spend all our time reading labels like crazy. Learned that ‘no salt’ doesn’t mean “no sodium.” – Pat S.
I will be retiring in about 8 years so I have made up a list of things I will need/want that I am able to afford now! I am doing a lot of canning,dry canning and dehydrating and I have a working pantry so that will all help me to spend less in the grocery store when I retire and leave more money to do the things I want.- Heather S.
Hubby is already retired due to health reasons and we have to watch the money as the income here is not that high on CPP-D. We also still have the two boys living at home. Both are a big help to me here.– Christine W.
hmm…. I have a feeling I would spend less on groceries so that I have more money to spend money on other fun activities or dates out- Kevin S.
I hope to be spending less, but then it depends on what I need– Mona M.
More money on groceries because of eating more at home as there will no longer be “lunch” items to buy and no fast food. This means we will likely buy more to prepare at home which equals more groceries.- Colleen K.
Post your shop and you can be next. Shoppers Optimum: Just under 850,000 Optimum points (I will update this twice a year) $1500 worth of free stuff. All totals below already have tax factored into them. Total in-store discounts this week: $280.18 Wow! We stocked up again at Zehrs while we were there. Although some of the 50% off items weren’t on our list we took the opportunity to enjoy them half off. This means we will alter our shop for the rest of the month with 1 no-shop. All we will need is a banana, cream, apple and veg stock up. Our luck we’ll find the best meat department deals next week. Grocery Game Challenge RULES: Read the rules first and if you have any questions email me or comment on this post with your question and someone will answer you as soon as possible. The rules have been updated to reflect changes for the 2017 challenge year. When does the Grocery Game close each month? : The Grocery Game Challenge closes at midnight of the last Sunday of the last post for the month but you will still get a ballot when you post your shops even if they are late but I encourage you to stay on schedule. If you choose to post monthly or bi-weekly you will only get 1 ballot for that shop. It’s a proven fact the minute we stop doing something scheduled that we end up forgetting to do it altogether. Don’t let that be you! You can post your shops all month-long. Nobody is perfect, heck we struggle with this part of our budget like many people do. This is why The Grocery Game Challenge is one of the most popular hang out spots for people who want to save money on groceries. Note some links used in this post will be affiliate links. Overview: Another quiet week in the grocery store front but enough to make meals for the time we have been at home. I hope you had a lovely Easter weekend. I don’t plan on PB & Banana sandwiches but yes, pasta is definitely in my future. I’m not sure how much I’ll be at the market this summer as my girlfriend/boss has been bringing in her son to work as well. I’ll probably be there from 11 to 2 only but a little bit of $ is better than nothing. You had to make me smile!! 🙂 Oh no really? I suppose you’re right. Are there any other booths that might take you on? I retired 10 months ago, and am still adjusting. Our grocery budget has been 350$ while I was working plus a side of beef yearly which works out to 400$ a month total. I have brought this done to 300$ without much of a problem by cooking more from scratch, reducing the stockpile, and reducing consumption . However I was unprepared for the cost of an increase in my social life. Many of those around me have a much larger pension than I, and constantly go shopping and a lot of dining out, which I can’t, so I joined a book club, various church activities, walk my dog, etc. I find I am just as happy to go out for coffee and a muffin. I am looking for company of some women like me, and hopefully will find them to share frugal living strategies with! Bonnie, congratulations on retiring from the rat race! Thanks so much, Mary, for these tips. I will look into them! She’s such a nice lady Bonnie.. and full of financial smarts. I’m having a great time this month making all sorts of fabulous dishes – old and new! $ 95.70 Holiday Season Fund + $170 RCSS POINTS + $10 Dream Air Miles. OUR CURRENT TOTAL UNUSED RESERVES ARE $1,337.73. This means the $1,274.44 that we carried forward from 2016 PLUS AN ADDITIONAL $439.32 that we have added in 2017, LESS $376.03 that we have drawn out for use in 2017. I might just get Mrs. CBB to read this one haha… Larry is a lucky guy and by the sounds of it you’re a lucky lady. New recipes always keep the menu fresh and interesting. There’s nothing worse than eating the same foods over and over. This way you get to broaden your tastes as well. More exploring means more fun with food. haha… what would you spend that $2.57 if you were to spoil yourself? Two no-shop weeks in April… woah that’s impressive but with your trip to the USA that makes sense though. I’m not a fan of the Miracle Whip but Mrs. CBB doesn’t mind it. I love my Hellman’s or homemade when I have the time. Great prices though especially on the salad dressing. I hope we see $1.46 for celery in Ontario… lucky. Well done… you’re a super shopper. Over the past almost 6 years now Mary I can see how well you’ve improved your shopping habits. Well done. You get ballot #1. Mr.CBB Have a great week and shopping trip. Mr CBB, is your numbering system off? I had ballot #1 last week. Now as to my $2.57…hubby has been known to find deals on produce at the farm market on his lunch hour walk. For that much money he’d come home with 8 tomatoes or 3 English cucumbers or a cantaloupe for me but it could also buy me 75g of smoked salmon strips if they were on sale. However, no treats for me this month (I really don’t need them)…I have a transfer to the US reserve in mind for that tidy little amount. Yes… you’re correct so you’re number 3 and Dee is number 4. Thanks. I must have got distracted and thought I had written them in the book as no other GGC posts have come in but from the both of you this month. If you postpone it long enough you might give up wanting to spend it altogether maybe. Ah, so I get a warning to leave about a sip of tea… lol. Haha lucky guy… 2 deserts. Well that sounds like a lovely night out. With there only being the two of you this is a nice trip out the house to enjoy time together.